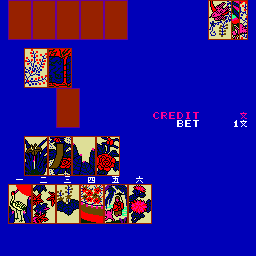 Working at the Yumefuda colors.It appears to use the b000-b0ff region as two individual banks splitted in half (and the HW itself calls colors in the 0-7 range).Additionally color bits appears to be scrambled,so the madness is complete. In the other news,fixed the input and the sound in Good,so that the game is fully playable in the next version. This entry was posted on Tuesday, October 14th, 2008 at 3:16 am	and is filed under Mame Wip. You can follow any responses to this entry through the RSS 2.0 feed. Both comments and pings are currently closed. As I can see,colors are 100% correct. 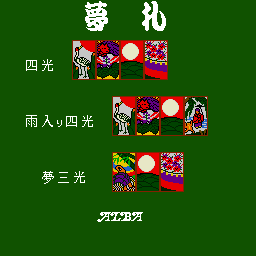 PS: I have to do a MAME testers / Mantis registration,this could be done in the next few days.